“We arrived three quarters of an hour before the time we had told them, when below, to look up”, Whymper wrote later. “Probably, at the moment no one was looking, as they had not the slightest belief that we should succeed better than our predecessors. This did not trouble us much.” The trio’s secret to success was to ascend on the southeastern slopes of the mountain, facing away Chamonix. “It is somewhat surprising that scarcely any one made a serious attempt to ascend from that direction”, Whymper was astonished. 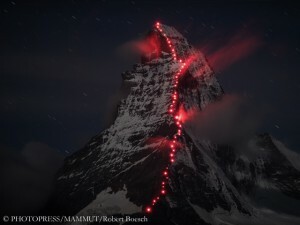 On 16 June, just about two weeks earlier, the three mountaineers, along with the French mountain guide Michel Croz from Chamonix, had already first climbed the 3962-meter-high Grand Cornier in Valais. On 24 June, this roped party reached, for the first time too, a 4184-meter-high minor summit (Pointe Whymper) of the Grandes Jorasses. The main summit (Pointe Walker), which is 24 meters higher, was first climbed three years later. 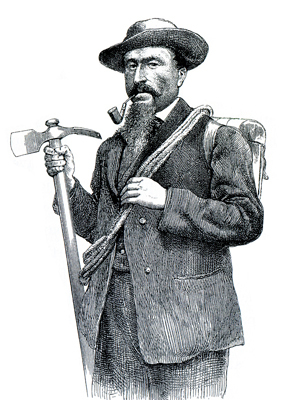 The local guide Croz, with whom Whymper was regularly climbing, was unable to join the first ascent of the Aiguille Verte, because he had to wait for a client in Chamonix. An outcry went through the local guides, when they heard that a British mountaineer, guided by two Swiss, had managed to scale the coveted mountain. Whymper and Co. were subjected to course insults. 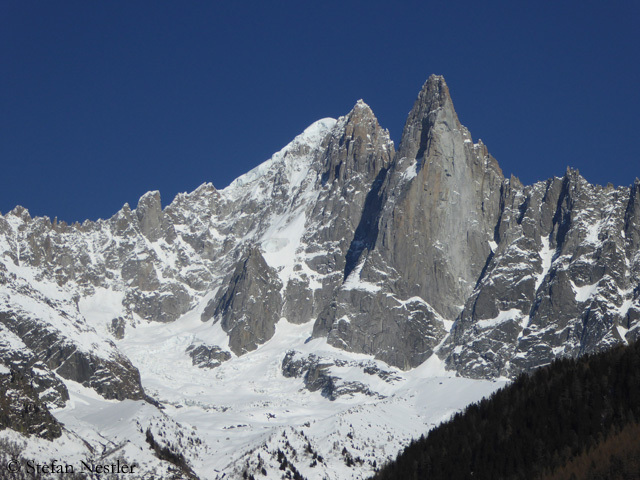 The guides of Chamonix were questioning the summit success. One of the ringleaders was even arrested. The dust settled, when Michel Croz made the second ascent of the Aiguille Verte on 5 July 1865, on a new challenging route, the Moine Ridge. 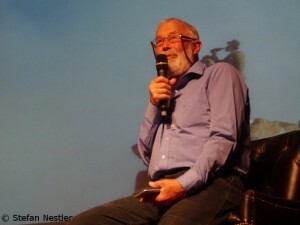 Croz guided among others the Englishman Charles Hudson. Nine days later, both were also among the first ascenders of the Matterhorn, but did not survive the coup. More about this later. The clock is running. In a week from now, the countdown clock on the station square in Zermatt will jump to zero. 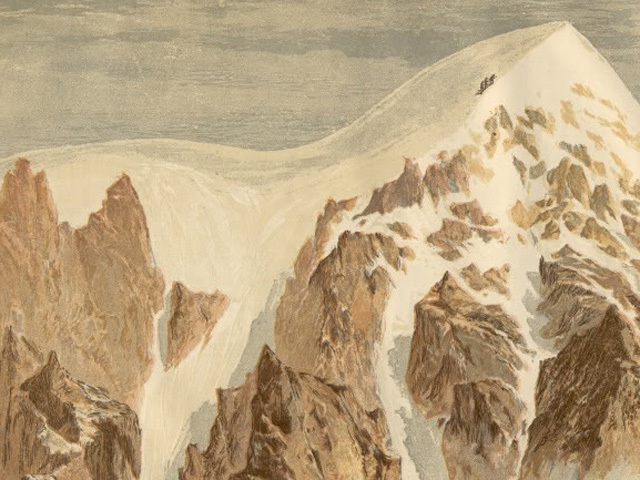 On 14 July, exactly 150 years ago, the Matterhorn was first climbed. No other mountain in Switzerland embodies the country more than this shapely four-thousander. My heart is heavy. 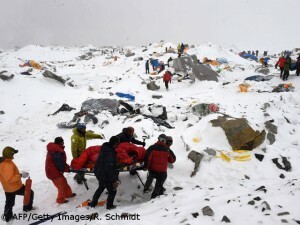 My thoughts are with the people in Nepal - and also with the climbers on Mount Everest. 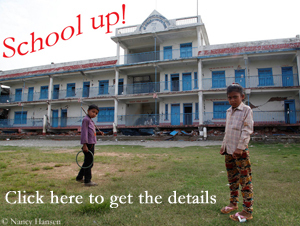 After the devastating earthquake on Saturday, the death toll is rising continuously. Meanwhile, it's more than 2,000 across the country.